Dubbed as the Gaudi of the 21st century, the late Zaha Hadid was one of the foremost architects of her generation. She was known for her extraordinary ideas, which led to the creation of some of the most unique and cutting-edge architecture the world has seen. The “starchitect,” famed for her fluid-like designs, was also awarded the Royal Gold Medal by the Royal Institute of British Architects and became the first woman to win the prestigious Pritzker Architecture Prize. During her prolific career, Hadid designed more than 30 buildings across four different continents. But if you thought you’ve heard the last of her, you thought wrong. The British-Iraqi architect left behind 36 active projects in 21 countries after her unexpected death in March 2016, which shook the architectural scene. Her architecture and design firm, Zaha Hadid Architects, continues her legacy by launching project after project even after her death. This week, plans for two more projects by the late architectural trailblazer have been unveiled. The projects in question? The world’s biggest airport in Beijing and Mandarin Oriental‘s Australia debut. 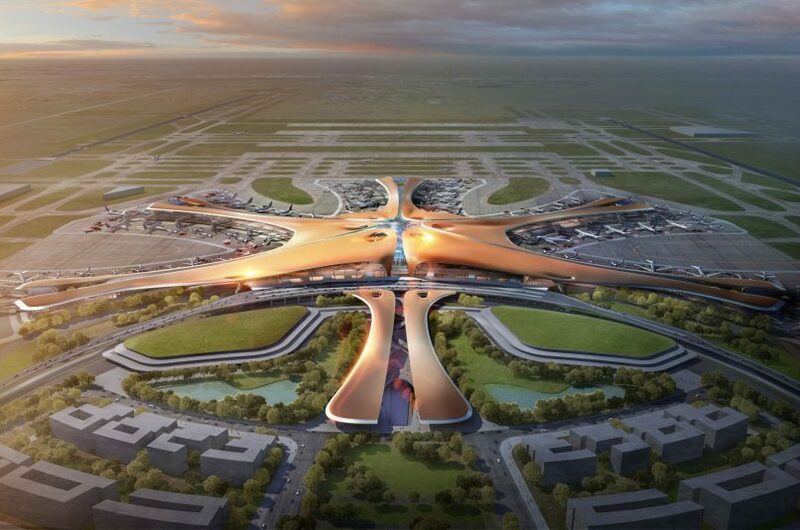 One of the most exciting aviation projects we’ve seen in recent years is the Beijing Daxing International Airport. Beijing’s second airport — after the existing Beijing Capital International Airport — is set to become the world’s largest aviation hub, with the new passenger terminal serving as the base for China Eastern Airlines and China Southern Airlines once it opens in 2019. The project, just over 45 kilometres from Beijing’s city centre, is estimated to cost S$16.3 billion. This is not Hadid’s only project in the Chinese city, though. The mega-airport comes after her project for Leeza Soho in Beijing, slated to be the building with the tallest atrium in the world once completed. The airport will feature an array of open and expansive interiors, with flowing rooflines that cover the large, column-free spaces. 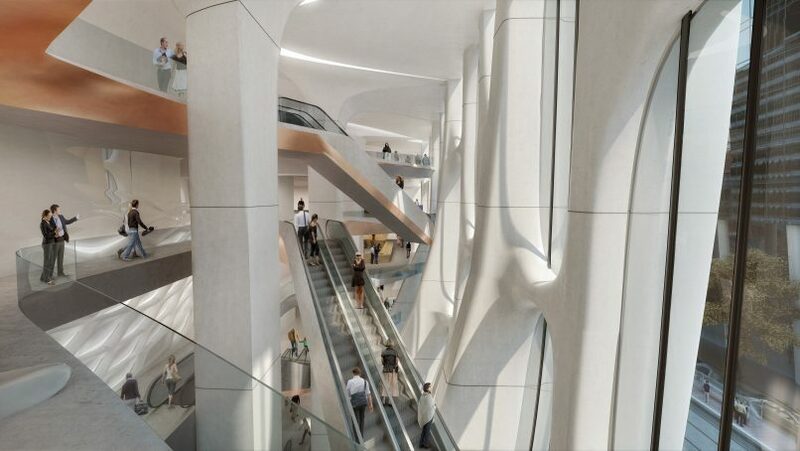 Zaha Hadid Architects also aims to build an adaptable and sustainable terminal that is able to operate in many different configurations to suit the varying aircraft and passenger traffic throughout the day. “The overall symmetry of the airport terminal design, together with its flowing, interconnected forms, create a fluid composition which evokes the harmony and balance evidence in Chinese landscapes, while its colours and materials are an expression of visual language within traditional Chinese culture,” states the architecture firm’s website. 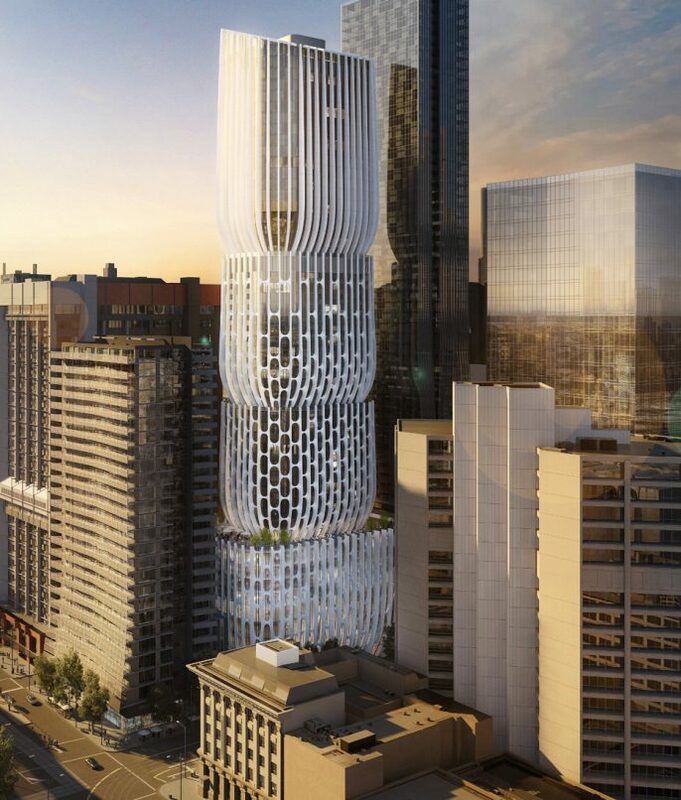 Another one of Hadid’s recently announced projects is a 50-storey lavish hotel and residential development at the west end of Collins Street in Melbourne, Australia. The site at 600 Collins Street was bought over by developer Landream two years ago, and will host the revolutionary structure that is expected to become a new visitor drawcard to Melbourne. The building, Hadid’s first project in the Victorian capital, featuring about four levels of retail space — which includes a level of commercial office space on the fourth floor. 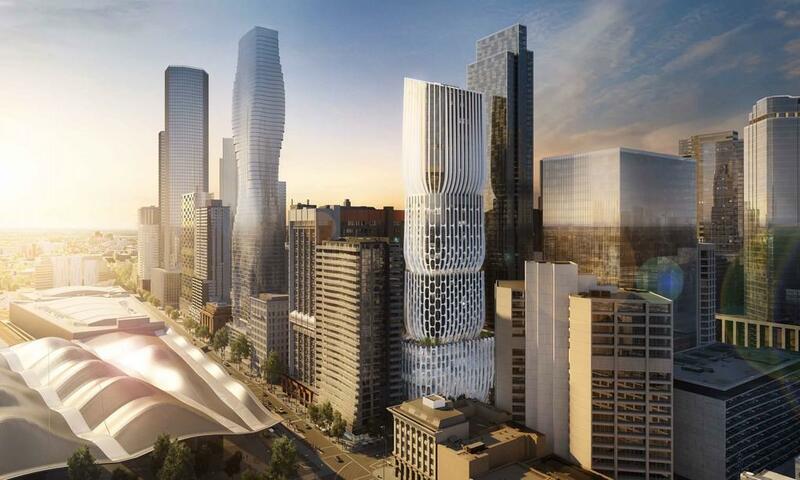 Hong Kong-based hotelier, Mandarin Oriental, which operates 29 hotels around the world, has signed a management agreement to proceed with operations in the Hadid-designed building — marking its debut in Australia. The luxury hotel will take up levels six to 24 of the building, boasting 196 well-appointed rooms. Additionally, the remaining floors above will be sold as 148 Mandarin-branded private homes with full access to the hotel’s services.